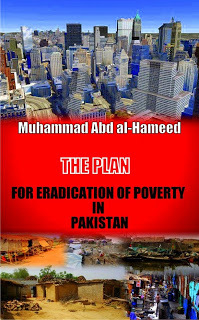 The plan for eradication of poverty in Pakistan is an English translation of the Urdu book “Ghurabt Kaisay Mit Sakti Hai” which provides a comprehansive plan to remove the poverty in Pakistan. You can read online and download this book in Pdf format from the below mentioned links. This book is a gift by the author Mr. M.A Hameed for the visitors of this website. You can find more articles and books of M.A Hameed on his personal bloags.